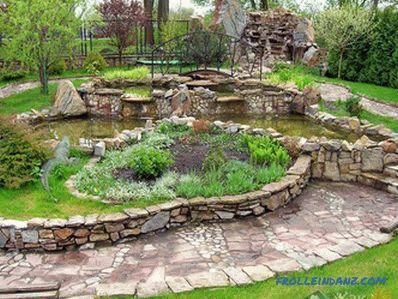 A pond at the dacha will delight the owner and serve as an excellent place to relax. A professional team can do it in the shortest possible time, but it will be expensive. If you properly understand the functioning of such a reservoir, then you can create it yourself. 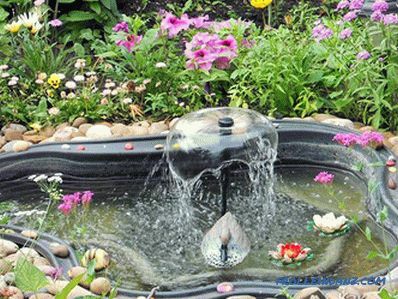 If desired, the owner can even arrange a small fountain. Pond dimensions can be different. They depend only on the area of ​​the plot and the desire of the owner. 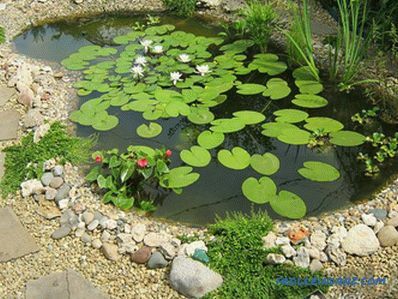 Pond can be made as a strict geometric shape, and imitate the natural shape. To the place where the reservoir will be located on the site, serious demands are made. The pond should not be lit by direct sunlight throughout the day. The optimal duration of illumination is about 7-8 hours per day. The pond should not be too shaded. If, under intense light, it can turn into a swamp (bloom), then with an excess of shade, the reservoir will simply become extinct. There should be no trees near the artificial pond. Otherwise, the leaves will from time to time spoil the purity of the water. It is not necessary to place a reservoir where a strong wind is possible. 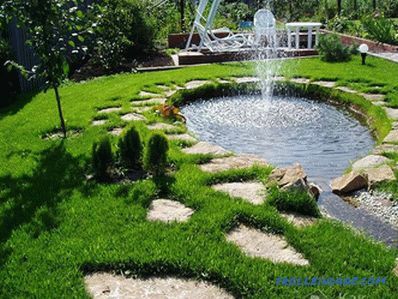 A pond is usually installed in the far corner of a plot or near a house. However, the owner must calculate the place himself, following the listed requirements. 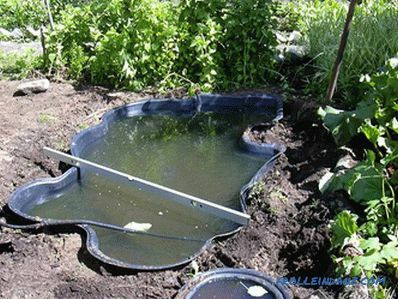 You can create an artificial pond using various materials. Each of them has its own advantages and disadvantages. PVC film construction Reinforced concrete. Such a reservoir will serve for a very long time. It is done almost forever. 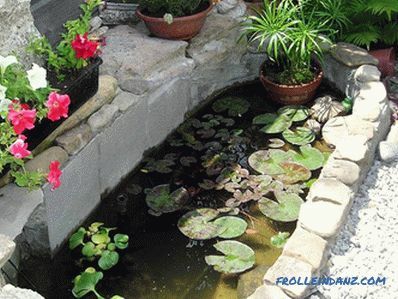 It will be possible to walk along the bottom of the pond without fear of destroying the structure. On the sides of the reservoir it will be possible to install various sculptures. However, the cost of the work will be very expensive. We'll have to use special equipment and technology. PVC film. The cost of the film is low, so no excessive costs are expected. 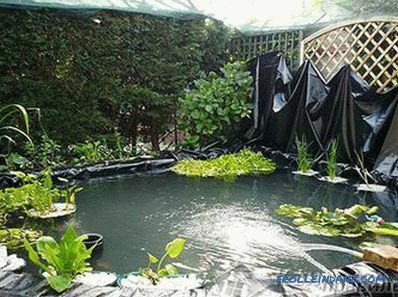 However, the foil pond is easily damaged. It serves a limited amount of time. If the root system of trees happens to be under the film, PVC will tear. Another disadvantage: a pond of film usually small in size. Butyl rubber. 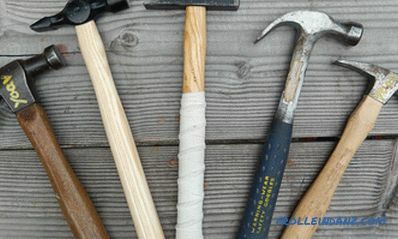 The material is quite expensive, but it will please with high quality and excellent performance. It withstands various loads much better than film and other similar materials. 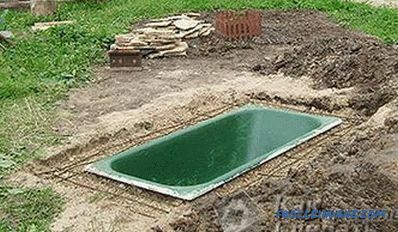 And at the same time, rubber allows you to create ponds of various shapes. 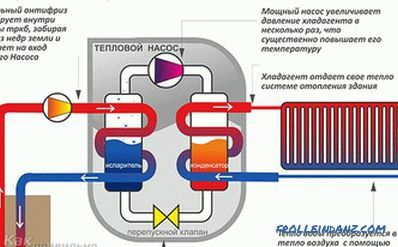 Capacities for reservoirs. In the shops you can find plastic containers. 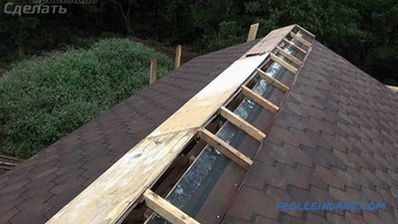 They are durable and weather resistant. However, these containers have their drawbacks. One of them is magnitude. As a rule, almost all of them are small. Those that are larger are designed for swimming pools. The second drawback is the cost. 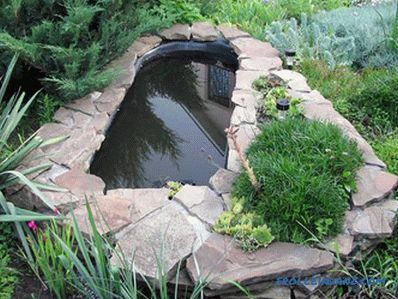 If there is a fantasy, then various baths and trays can be used to create a mini-pond. 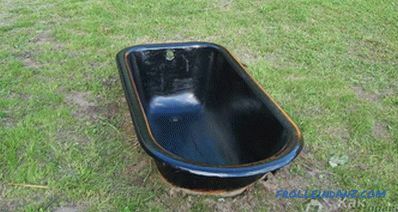 An old bath can be a great decoration for the garden. 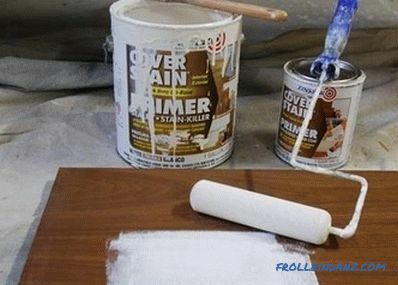 It can be used to create flower beds and flower beds. It is also suitable for arranging the reservoir. The only disadvantage of such a pond is its small size. From the old bath you can make not only a pond, but also a whole exposure. Installation of the bath-pond First you need to make a recess in the ground. The pit should be 40 cm deeper than the edges of the tub. Then, the edges of the pit should be processed. To do this, the ground is removed along the perimeter. The width of the strip should be approximately 40 cm. The strip, from which the soil and turf have been removed, deepens to the extent that it is flush with the edges of the bath. The drain hole is sealed in the tub. After that, it sinks to the bottom of the pit. The inner sides of the bathroom are treated with glue for ceramic tiles mixed with dye. After that, you have to wait until it dries. The bathroom is better to cover. After a day or two, you can continue to work. Despite the fact that tile adhesive dries very quickly (within an hour), it is necessary to wait until it is completely “reached”. 20> 19 The mesh is ideal for reinforcement. Next, apply a sand-cement mixture to the mesh. Various decorative elements are laid over the cement. It can be stones, tiles, gravel. The shape of the pond from the bath can be varied as desired. To do this, just need to change the location of the chain-link. 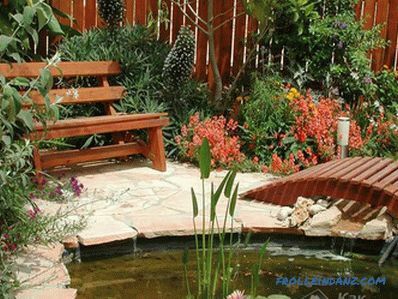 If you show creativity, you can create a decorative pond using the materials at hand. The unusual fountain The pond can be additionally supplied with various systems to surprise the guests and delight the owner himself. Underwater lights. Colorful colorful lighting in the pond will make it attractive in the dark. He will be fascinated by his appearance. In order to install lighting under water, it is necessary to put mini-spotlights. They are inexpensive, and the effect of them is great. Surface lighting. In order to install the light next to water, LED and halogen lamps are used. They fully meet all safety requirements and are also the most economical light source. Fountains. 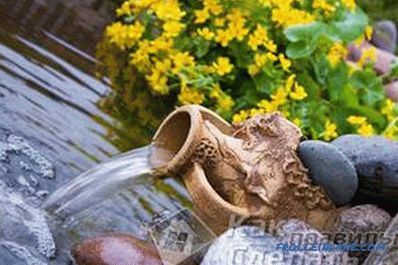 To create fabulous fountains will require pumps. They are of two types: surface and underwater. The difference between them lies not only in the location, but also in the height of the water jets. 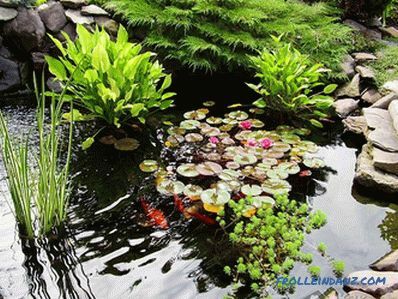 A lifeless pond does not create that atmosphere like a body of water in which plants grow and fish swim. Vegetation can be planted in the ground located at the bottom of the pond. 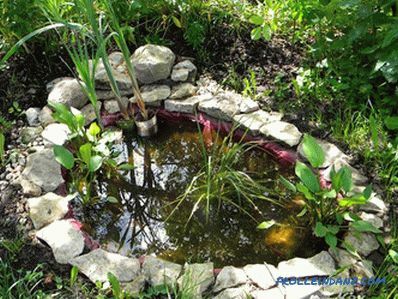 However, you can do a little differently: the vegetation is established in a pond on the surface, and its roots are hidden in baskets with the ground. 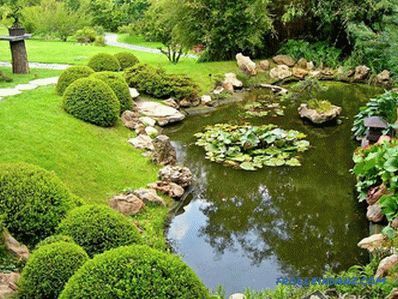 You can also plant higher types of vegetation near the pond. They will give a natural look. 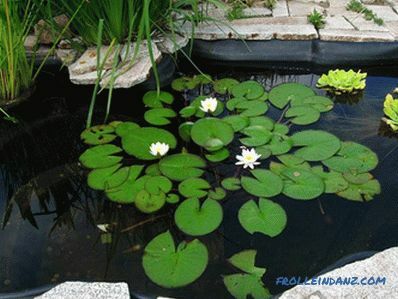 Also in the pond will look great lotuses and water lilies. They do not even have to be planted, because they are floating plants. All natural ponds have one plant, which is their calling card: this is duckweed. However, artificial reservoirs are not insured against its occurrence. It does not even need to plant, it usually appears itself. And, so if it arose, then it will have to fight. Because the duckweed has a feature to completely capture the pond. You can put fish in the pond. 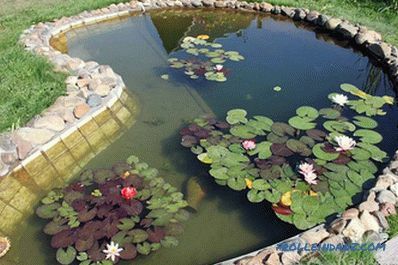 Before buying fish for a pond, it is necessary to clarify the conditions of their detention. You also need to pick the fish in such a way that they get along well. Some of them are hostile and die in one pond. The reservoir will have to be constantly maintained. It needs to be cleaned, because, one way or another, various leaves and litter will fall into the water. Also need to remove excess vegetation. This applies not only harmful duckweed, but also water lilies. 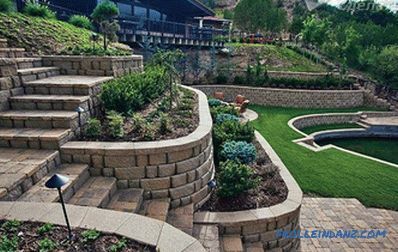 Landscaping ideas for the suburban area. Inexpensive pool in the country. 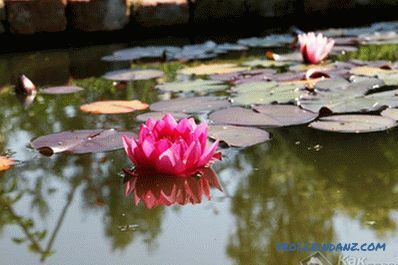 If finances permit, it is better to order the construction of a pond and a reservoir in a specialized company.